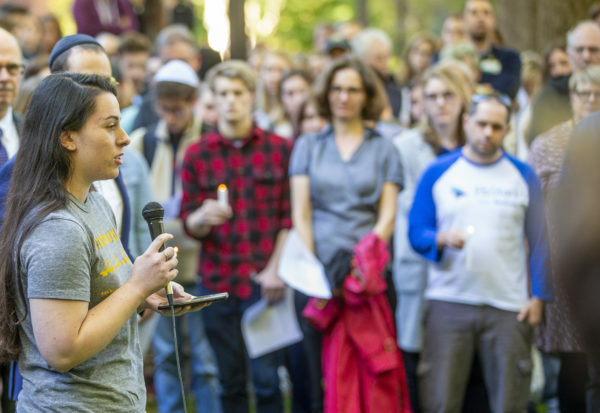 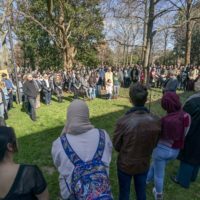 Nearly 300 Vanderbilt students, faculty, staff and community members gathered Monday afternoon outside of Rand Hall to hold a candlelight vigil in honor of the victims of the recent shooting at the Tree of Life Synagogue in Pittsburgh. 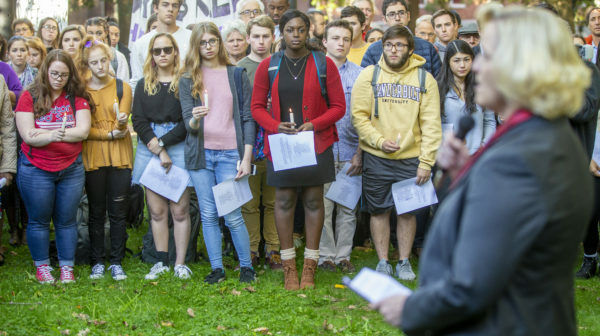 The program included remarks by administrators, reflections by a student from the Pittsburgh area, readings of prayers and the lighting of 11 Yahrtzeit candles in honor of each of the victims. 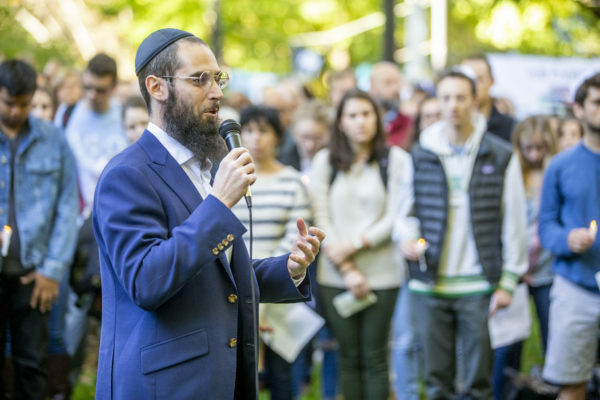 The vigil also included remarks and readings of prayers by Ari Dubin, the executive director of the Ben Schulman Center for Jewish Life, and Rabbi Shlomo Rothstein, the campus Chabad chaplain, who spoke about the importance of coming together in unity and called for acts of charity and kindness in the victims’ honor. 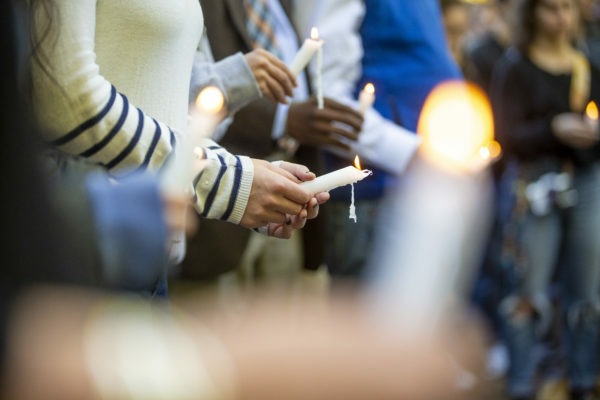 Staff from the Office of the University Chaplain and Religious Life and the University Counseling Center remain available for counseling or conversation of any kind.